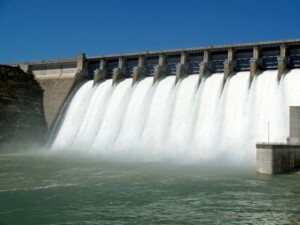 Hidroelectrica has completed the largest gallery of the supply made after 1984 of 16.7 kilometers, starting and ending at the Bâsca Mare to Nehoiasu and will mean energy intake of 171.8 GW annually, said Thursday Remus Borza, Hidroelectrica's insolvency administrator, during the last breakthrough front of the gallery, from Trestia to Castle steady. 'This is the third adduction gallery of Romania after Lotru Ciunget – about 18 kilometers and Râul Mare Retezat at 17.6 kilometers. The work here started in 1981 and here's been many years of toil and sacrifice until the extremely complex work was finished, because this work lies geographically in three counties of Covasna, Buzau and Vrancea, captures more tributaries and finally the inflow of almost 17 km will mean energy intake of 171.8 GW annually, "said Remus Borza. He explained that the gallery adduction takes water from a lake of 282,000 cubic meters of Surduc and is directed to an aggregate of 55 MW from Nehoiasu central that will be installed and put into operation in 2017. At Nehoiasu are operated another two 21 MW units each, reports Agerpres. The event was attended by Energy Minister Andrei Gere, who said that his presence is intended to recognize the efforts and at the same time he wants to encourage the pace of investments. Also, Remus Borza said that on 1'st of September has hired 10 graduates of energy or hydropower, with Hidroelectrica scolarships that have completed valedictorians. Among them is Mirela Moga, a graduate of the Faculty of Hidroenegetică with the 10 note from Timisoara and about whom Borza said that in about two years may appoint her as branch manager.